Electrical codes are in place to protect you, the homeowner. These general guidelines apply to new installations and will give you the basics of what electrical inspectors are looking for. Be sure to check with your local electrical inspector because local codes may vary from the list provided. 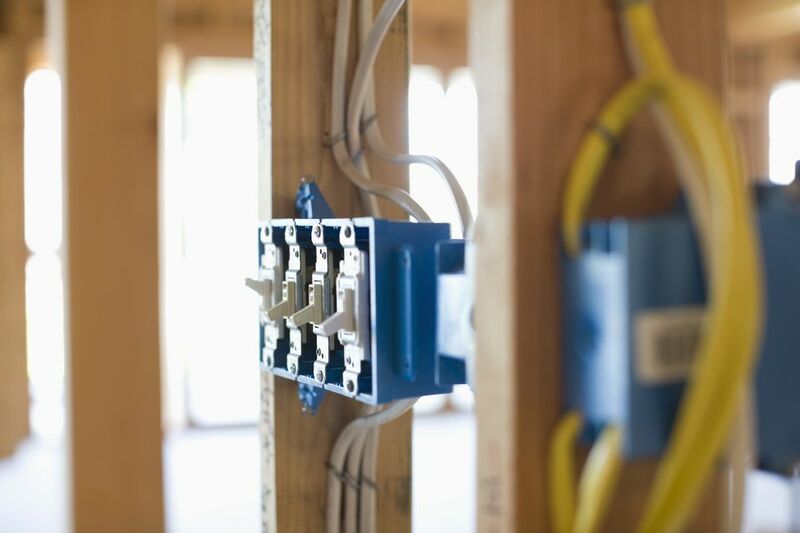 In the case of existing housing, the codes will apply if you are updating a home, and it requires an electrical update. It is also suggested that you update if the wiring in your home is unsafe and a danger to your family. The National Electrical Code has some very specific rules and regulations about underground wiring methods and points of attachment. This is a look at the highlights of the outdoor sections of the code. Electrical wiring is often subjected to wet conditions and all of the elements that Mother Nature can throw at them. Electrical safety around swimming pools, hot tubs, and spas should be of extreme importance to the homeowner. The National Electrical Code (NEC) was written to provide a set of rules and regulations to keep the use of electricity in your home safe. Here are the top bathrooms codes you need to live by to remain safe and keep your electrical devices working properly. You may wonder why the electrical inspector seems to be so tough on you when he explains all of the requirements in your bathroom. You may ask why you need things like GFCi's and exhaust fans. He may tell you that you need a separate circuit for your outlet, but after you consider everything that will probably be plugged into it, you soon see that the inspector is there to help you to have an effective and safe electrical plan. Each bathroom should have a circuit for lighting and an exhaust fan. This may include a blower-heater-light combination. There should also be a 20-amp circuit, separate from the lighting circuit, to provide power for an outlet to feed things like curling irons, razors, hair dryers, and even portable milk house heaters. Connected to the outlet circuit, you should install a ground fault circuit interrupter (GFCI) to protect the user. A GFCI trips and disconnects the circuit power if it senses a difference in potential on the circuit, like a short circuit or a path to ground, which could be right through your body. This device is very important and can save your life! Since bathrooms are wet, switches should be grounded as well to give any stray voltage a direct path to ground, instead of through you. You'd hate to get out of the shower, soaking wet, and get shocked by touching a switch. Install at least one ceiling-mounted light fixture to allow ample lighting. This may be in addition to wall sconces or strip lighting in the bathroom. Place exhaust fans or heater-fan-light combinations far enough from the bathtub, shower, or hot tub so that no one can stand in water and touch it. Just remember, these are the bare minimum requirement, and you can add more circuits as you see fit to accommodate the load of the appliance you plan to plug in or add to your bathroom. A kitchen should have a separate circuit for each appliance with a motor. The microwave, refrigerator, garbage disposal, and dishwasher would be the major appliances included. Generally, the code requires that you install a minimum of two receptacle circuits in the area above the countertop. An electric range, cooktop, or oven must be wired to a dedicated 240-volt circuit. These rooms require that a wall switch is placed beside the entry door of the room so that you can light the room before entering it. It can either control a ceiling light, a wall light, or an outlet connected to a desk lamp. The ceiling fixture must be controlled by a wall switch and not a pull chain type light. Wall receptacles should be placed no farther than 12 feet apart. Dining rooms usually require a separate 20-amp circuit for one outlet used for a microwave, entertainment center, or window air conditioner. Special care is needed in stairways to ensure all of the steps are lighted properly. Three-way switches are required at the top and bottom of the stairs. If the stairs turn, you may need to add additional lighting to accommodate the area to be lit. These areas can be long and need adequate lighting. Be sure to place enough lighting so shadows are not cast when walking. Remember, hallways are often escape routes in the event of inclement weather and emergencies. A hallway over 10 feet long is required to have an outlet for general purpose. Three-way switches are required for the two ends of the hallway. If there are more doors throughout the hallway, say a bedroom or two, then you may want to add addition four-way switches to the circuit outside the door of each room. Closets must have one globe covered fixture controlled by a wall switch. Exposed bulb fixtures, like pull-chain fixtures, get hot and come in contact with clothing or other combustible materials stored in closets. Although your existing home may have these fixtures, it is recommended that you change them for safety reasons. The washer and dryer should have its own 20-amp receptacle. In the case of an electric dryer, a separate 240-volt circuit should be installed. Inside the garage, there should be at least one switch controlling the lighting. It is recommended that three-way switches be installed for convenience between the doors. This lighting should be in addition to any garage door lighting that you may have. Garages need a separate circuit for at least one outlet. This is generally required to be a GFCI outlet. You should check your local code to be sure. When in doubt, make it a GFCI. Any outside outlets connected must be either a GFCI outlet or an outlet connected to a GFCI breaker. Remember that the electrical codes are in place for your safety. Although you may believe that they are overkill at times, these practices save lives every day. When it comes to electrical safety, don't become a statistic! Follow the rules of the codes and be sure to have your local electrical inspector give you the green light for the safety of your family's sake.